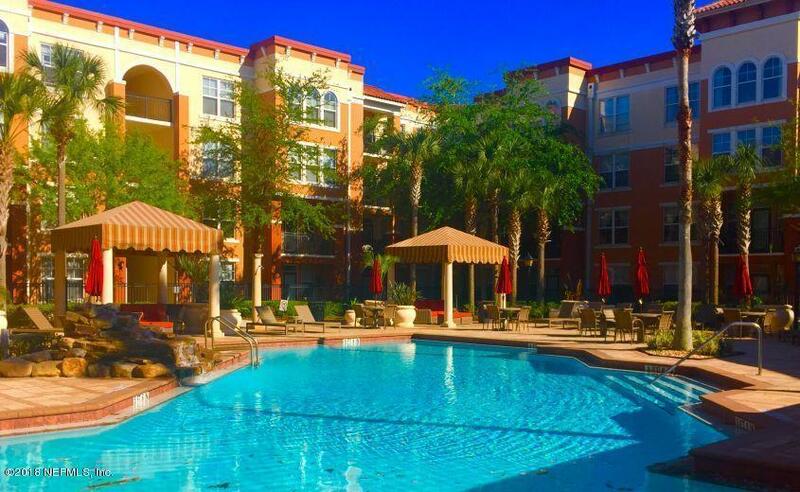 Enjoy an upscale condo living in a gated community with resort style amenity including clubhouse, swimming pool, fitness center, outdoor courtyard, gated entrance, playroom, business center, building elevators, and parking garage. Top floor and FREE from noises above! Steps away to all shops, restaurants and minutes to downtown and beaches.Spacious 1 bedroom/1 bath located in the heart of St. john Towncenter. Open area 9th ft ceilings with crown molding throughout, kitchen with stainless steel appliances, and granite counter-top. Vacant & ready to move in!